I have always liked SDL MultiTerm Desktop - since long before it was an SDL product, back when it came as part of the package with my Trados Workbench version 3 license. Then, as now, Trados sucked as a working tool, so I soon switched to Atril's Déja Vu for my translation work, and after 8 or 9 years to memoQ, but MultiTerm has continued to be an important working tool for my language service business. I extract and manage my terminology with memoQ for the most part, but when I want a high-quality format for sharing terminology with my clients' various departments, there is currently no reasonable alternative to MultiTerm for producing good dictionary-style output. Fairly simple; there are no options to configure. 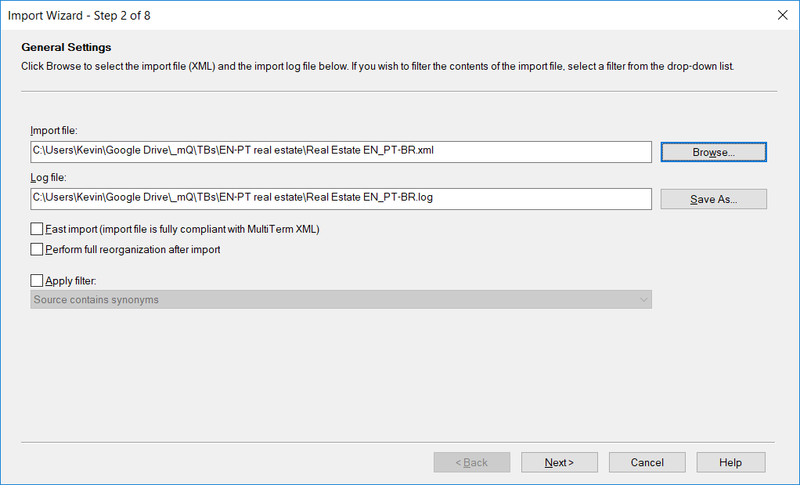 Just select the radio button for the MultiTerm export format at the top of any memoQ term export dialog. And what do you get? 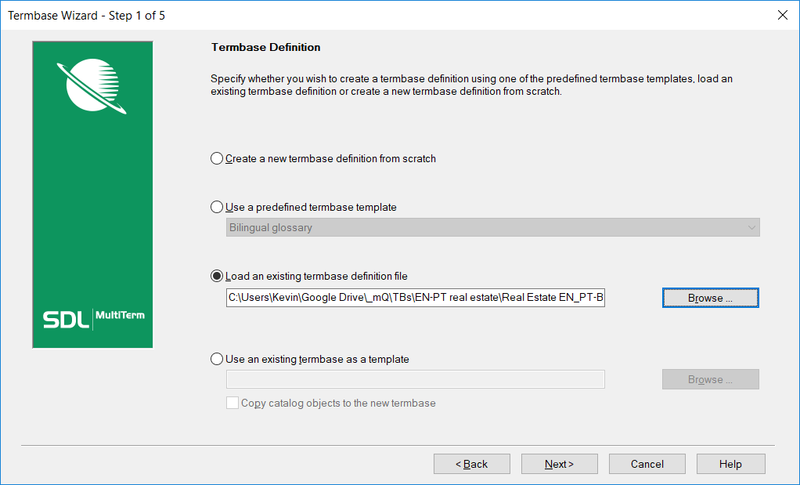 Three files: the XML file with the actual term data and the XDT file with the termbase specifications are the important ones. 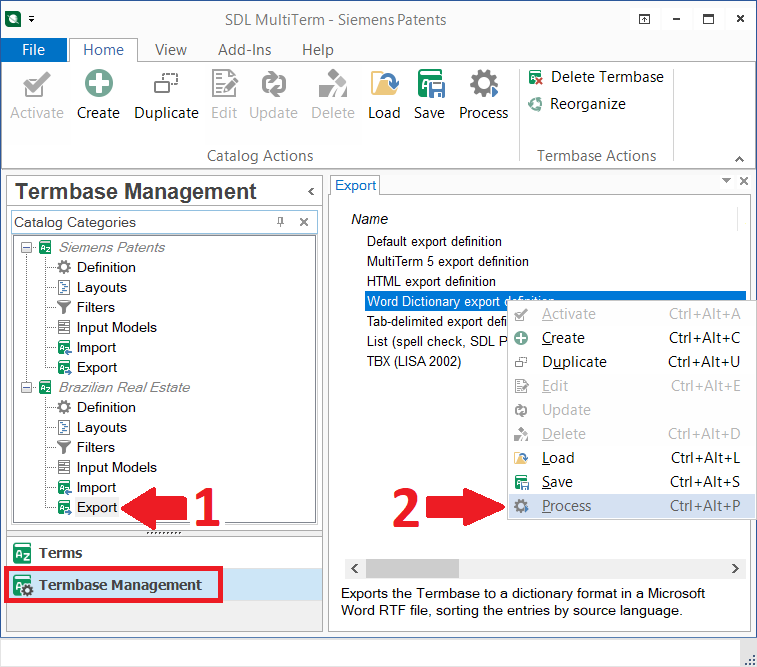 The latter is used to create the termbase in SDL MultiTerm. 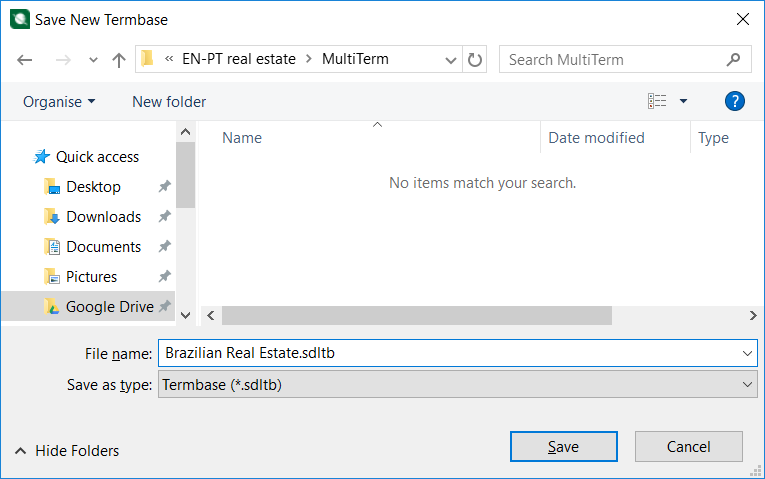 If you have an existing termbase to use in MultiTerm, you won't need the XDT file, though if that termbase is not based on Kilgray's XDT file there might be some mapping complications for the term inport from the XML file. 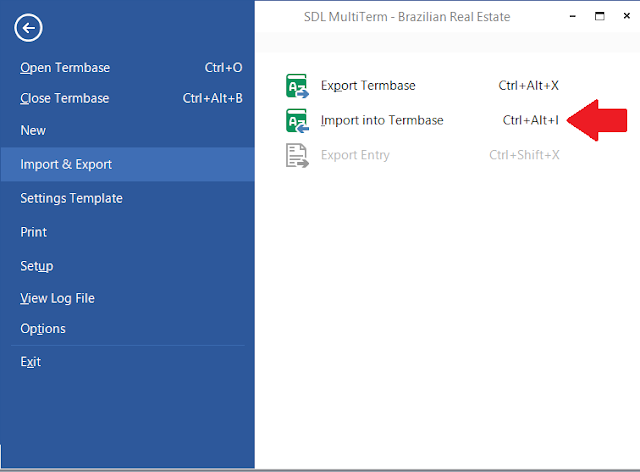 Now you'll have an SDL Multiterm termbase with the glossary content exported from memoQ. 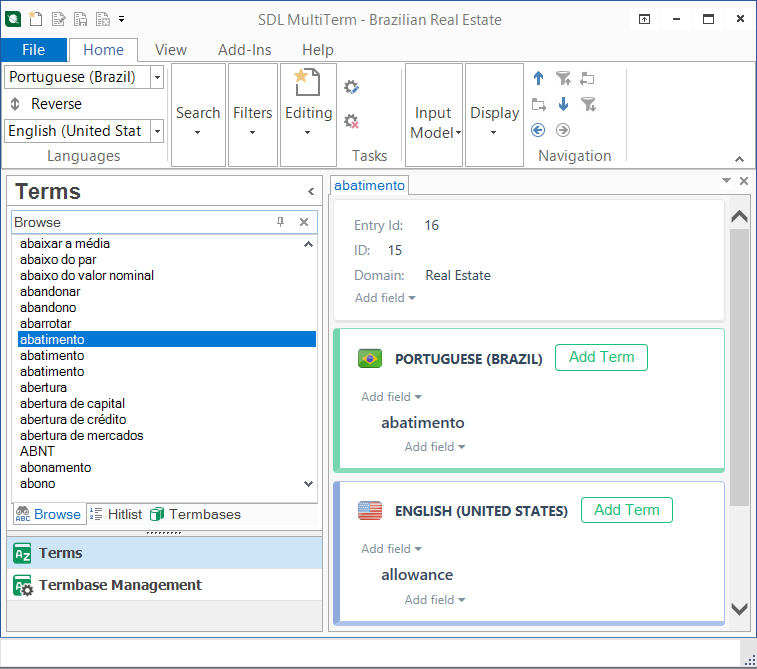 This is a process which can be carried out when sharing terminology with a colleague who uses SDL Trados Studio for translation, for example. 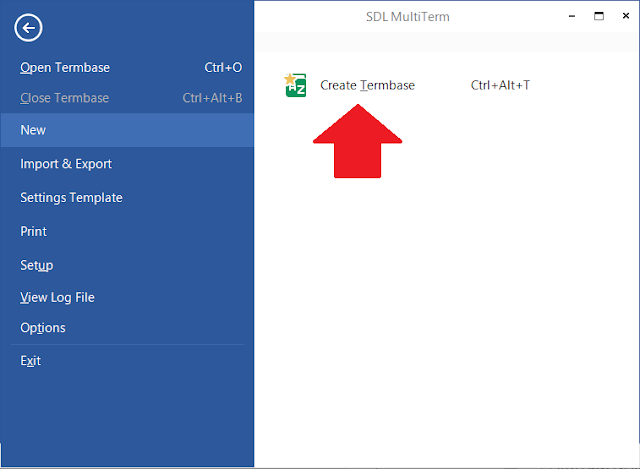 If they don't know how to use the import functions of SDL Multiterm or you want to save them the bother of doing so, just share the SDLTB file. In keeping with the German Benutzerfreundlichkeitskonzept, the command to generate the desired output is Process, of course. Other possible output formats include HTML, which can be useful for term access on an intranet, for example. 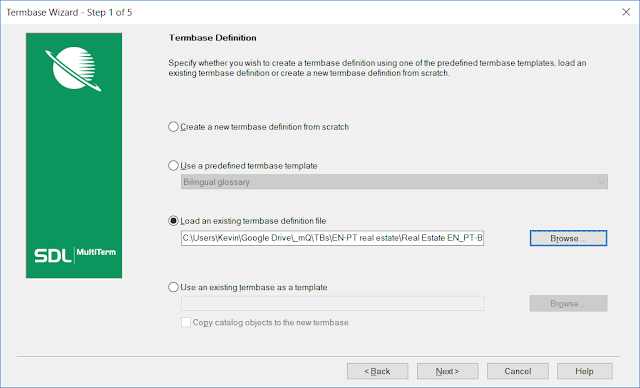 Custom definitions can be created by cloning and editing an existing definition; these are specific to a given termbase. 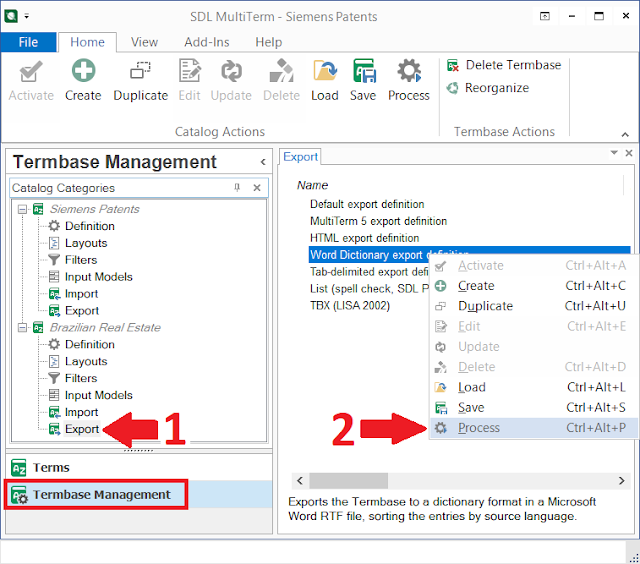 If you want to apply a custom export definition to another termbase, export it as an XDX file and then load it for the other termbase. 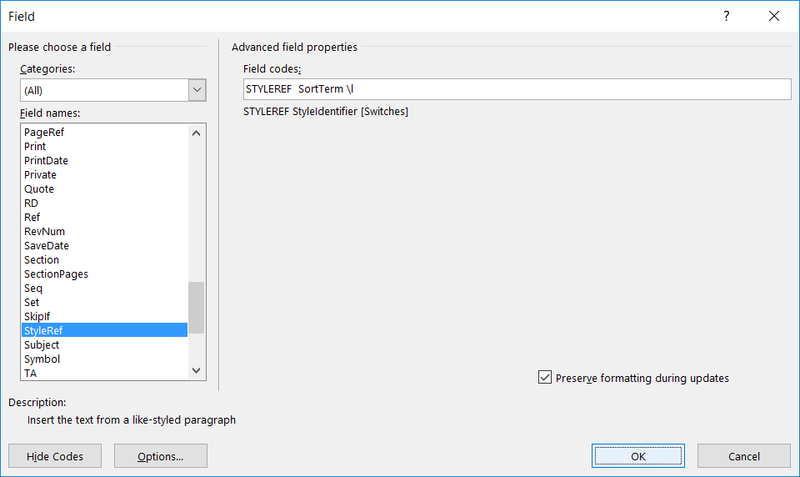 The definition file used to generate the example above is available here. 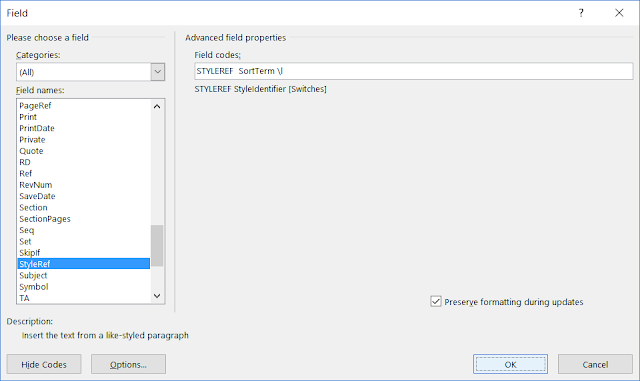 There are, of course other, possibly better ways to get some nice output formats from memoQ glossaries or termbases in other tools. 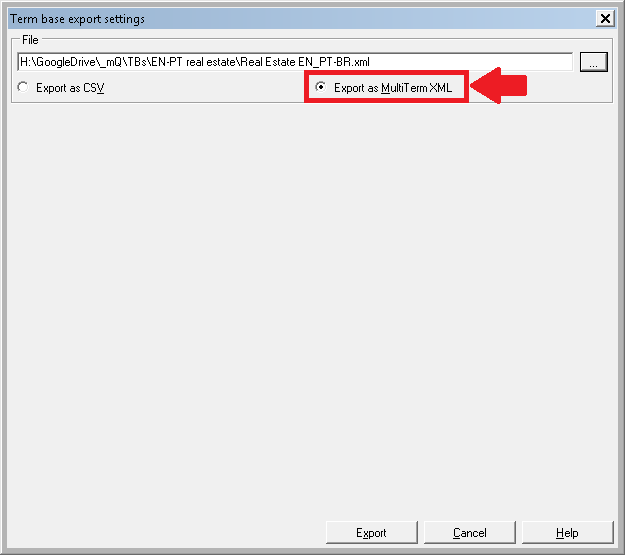 One approach with memoQ is to create XSL scripts to process the MultiTerm XML output from memoQ. For years I have been hoping that Kilgray would create a simple extension to the term export dialog in memoQ, which would allow XSL scripts to be chosen and a transformation applied when the data are exported. 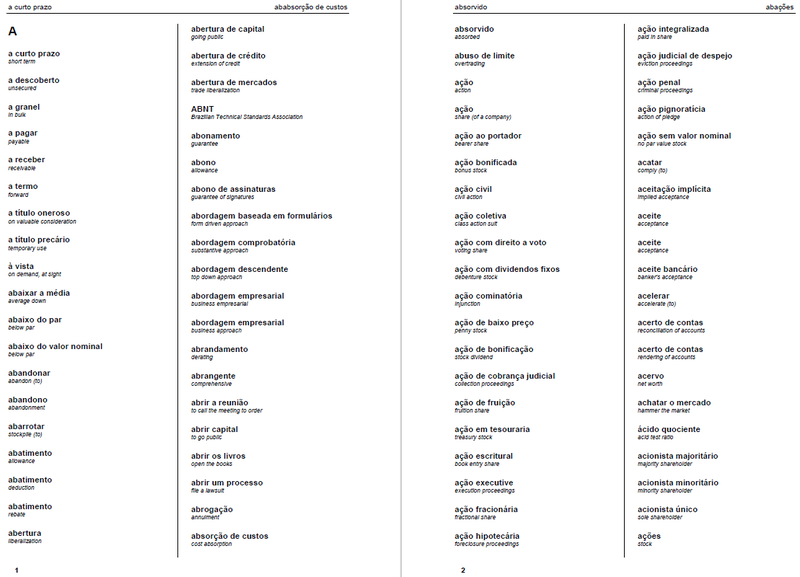 It really is a shame that after more than a decade the best translation environment tool available - memoQ - still cannot match the excellent formatted output that my clients and I have enjoyed with MultiTerm since I first started using that program 17 years ago! Thanks a lot for this article! I used to work with Trados TWB and Multiterm for 20 years before switching to MemoQ. Though I love working with MemoQ I really miss the nice output formats (and storable export definitions!) with which you can produce such an impressive "product" to offer and sell to customers (I've asked Kilgray for this on so many occasions). I had wanted to avoid using two platforms, but it seems to work fine with you, and Kilgray unfortunately doesn't seem to plan any changes. So I presume it is the second best option.